Don't think I've mentioned this enough on my blog, I've recently moved to Brighton. And with that comes a new flat that needs to be furnished. A complete revelation has been George at Asda homewares. A week ago I picked up a copper lampshade that I think looks a lot more expensive that the £10 I spent on it (you can see a picture here on my instagram). So I thought I'd take a closer look at what George at Asda has to offer and this is what I found. 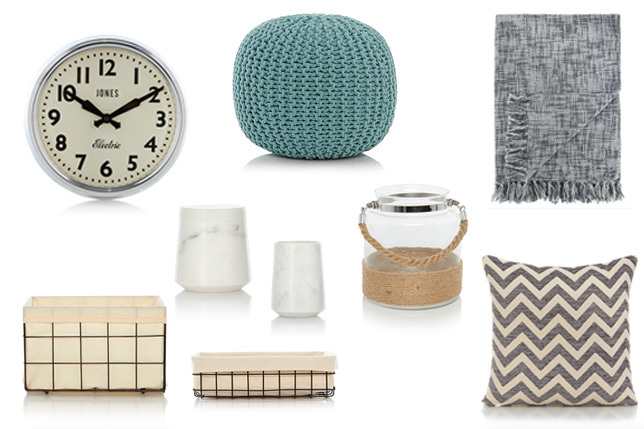 I particularly love wire baskets and the chevron cushion, I basically want it all though!